Now you can pay here in a single click. Enter your Registration Id and click on Pay button. You have a choice when you look for a Robotics Environment. We want to be your partner. We think we're different from others - in a good way. Here's how - and why it matters to our customers. We believe we already are a specialist in the field of robotics with an extensive team of competent research engineers and developers we became this proficient in all domains related to the art of Robotics: mechanics, electronics and software. Strategic research is at the heart of Robosapi. Emphasizing personal and everyday robotics, as well as industry and engine automation, our researchers define the future role of robots in society. Cooperation between robots with different capabilities is one of the aspects which can influence on the future of robotics. In this situation coordination is an important factor which must be take to account for making a robust behavior for each robot. Robotics Technicians and engineers develop, assemble and test robotic systems using skills based in mathematics, physics, hydraulics, pneumatics and electronics. Robotics technology professionals create robotic systems that are capable of performing a variety of assembly, welding and fabrication tasks. As a company we have been working since 2007 however we've been designing and developing Robotics Environment since year 2004. We love discussing and planning new projects and have years of knowledge and experience that we bring to the table. Whether it's Student project or a Year long Training program or Custom Robotics Lab Setup. We like to keep everything under one roof to make it easier for our customers. We believe in Innovation & customer satisfaction. We love nothing more that working on a great project with a fantastic client. We care about our clients and can often be found working out of hours to get everything ‘just right’. We develop student engagement activity by organizing technical Workshops & Training program. 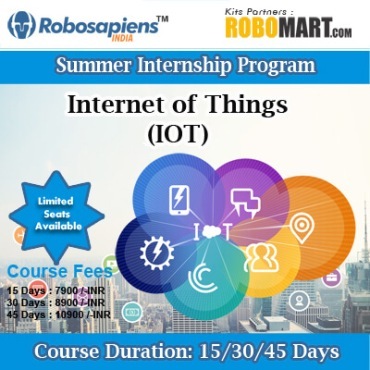 I have attended a Summer Intership Program of 45days on "AVR Embedded System"organised by Robosapiens.The intricate concepts of Robotics were very well described and the hands-on training on various versions of 'Robots' was fantastic. The personalized attention to each team from the Robosapiens trainers was a bonus. Thanks for such an interesting and interactive workshop. Nice job Robosapiens! I am Sanjeet Kuhad from Faridabad. I have done SIP(one month) on AVR in Robosapiens technology pvt ltd. The staff were highely qualified and very supportive while teaching. It was an incredible experience. For the first time ever I was able to do my favorite things in my life with like-minded people my age. I think it is the best institute in India. Really a very good course and a highly enjoyable week. Trainers were excellent, combining theory and examples from the field and extracting the valid points from the different contributions from the group. … huge breadth of knowledge and the ability to tie the different ends together and draw general lesson. 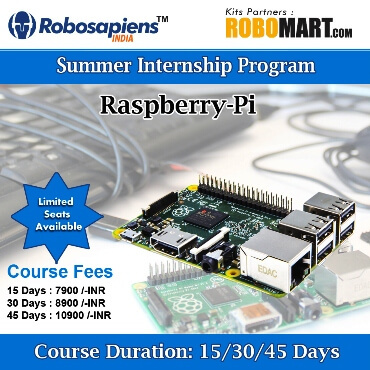 Myself Abhishek Kumar (Imu Visakhapatnum).I Joined The Summer Internship (Sip-2014) Program Of Robosapiens .It Was A Wonderful Experience To Work With Project Which I Got.TF(instead of it) I Say About The Infrastructure And Classroom Environment That Was Really Nice. The Faculty Members Are Highly Experienced And User Friendly. A Lot Of Thanks To Robosapiens Team For Their Courage And Support In Building The Concept. I have joined 30 days SIP in Robosapiens Technologies Pvt Ltd, Noida. The theory and practical sessions were very useful as we came to know about the basics ideas behind creating the Line Follower Robots. The lecture was taught in such a way that we could easily implement the theory into practical exercises to make our bots work. Training at Robosapiens Technologies went very good.We learnt a lot of things here.Faculty is very good here but sometimes disturbing too. Classes taken by many faculty members were too informative.Best faculty i found are MAYANK SIR and DINESH SIR. They gave us Maharashtra, alot knowledge. I Have Joined 1 Month Summer Traning In "Robotics & Embeded C" Course. I Feel That This Is One Of The Best Traning Centre In India. I Think Robosapiensindia Provide Best Training..My Experience Is So Good In This Traning Centre......Thank You. The training of robotics and quadcopter was very inspirational, energising, bringing lots of ideas, with both substantial and in-depth knowledge together with case studies, learning from experience and being fully practice-oriented.Well-balanced composition of participants, which contributed to interesting and focused discussions and exchanges.thanks to Robosapiens team and specially MAYANK SIR, VIVEK SIR. I am Nitesh. 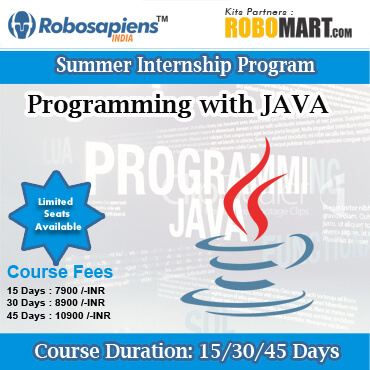 I have done SIP(summer internship program) in robosapiens Pvt Ltd. ,Noida. It was a great experience of getting the knowledge about new emerging technologies based on the microcontrollers in the field of embedded system. In these 30 days , I have got a wide spread knowledge about these things , especially when I have done some hands on the practical (on software and hardware). After doing these things through myself, I came to know about the real time application and devices used in our daily life. "sip 2014 is such a fantastic opportunity for our students. The students love it! It's such a great way to get students involved in the world around them. The students use their problem solving ability to create a solution to real-time problems. They also create their own unique presentation to express their ideas. This is a terrific program.". The classes at Robosapiens Technologies went very well. We learnt a lot of topics which were left undiscovered by many of my professors in my college. The classes taken by Mayank Sir were very informative. The scheduling and time management of our batches for training and doubts were arranged in very systematic way so that such a manner that none of the students left neither with doubt. I thank Robosapiens for their cooperation. Lets Join the community of Robotic Geeks accross india. More than 150000 active robotics enthusiasts in india. Indentify the power of Microcontroller. Learn World most successful microcontroller ATMEL 89s52 of 8051 family. As Seen in the moviee 'Three idiots'. How about building your own Quadcopter? Yes Join Winter Training program in Quadcopter. Develop your own Android app. Control your world with a cellphone. List your app on Google Play Store. Start earnig by Today. Disclaimer: The information contained in this website is for general information purposes only. The information is provided by Robosapiens Technologies and while we endeavour to keep the information up to date and correct, we make no representations or warranties of any kind, express or implied, about the completeness, accuracy, reliability, suitability or availability with respect to the website or the information, products, services, or related graphics contained on the website for any purpose. Any reliance you place on such information is therefore strictly at your own risk. Through this website you are able to link to other websites which are not under the control of Robosapiens Technologies .We have no control over the nature, content and availability of those sites. The inclusion of any links does not necessarily imply a recommendation or endorse the views expressed within them. Every effort is made to keep the website up and running smoothly. However, Robosapiens Technologies takes no responsibility for, and will not be liable for, the website being temporarily unavailable due to technical issues beyond our control. © Copyright 2007-2016 - Robosapiens Technologies Pvt. Ltd. All Right Reserved.